Our consultants have been providing worksite ergonomic evaluations in the greater San Francisco Bay area for the past 20 years. For the past 20 years Tim has devoted himself to graduate education, specialized training and professional practice in field of ergonomics. He is especially noted for the personalized and innovative solutions he brings to the ergonomic process. Tim is a Certified Ergonomic Evaluation Specialist, has completed advanced training in movement education from both the Feldenkrais and Egoscue methods of corrective exercise, and holds an M.Ed. in Rehabilitation Counseling from Ohio University. He has worked in the fields of industrial return to work and injury prevention since 1989. Tim's work encompasses office based environments, municipalities, field work, manufacturing and the food industry. Tim Brent is an ergonomic and rehabilitation specialist with advanced training in movement education. He has over fifteen years of experience working with business and industry providing one-on-one ergonomic evaluations and group training in ergonomic safety principles and injury prevention. He is distinguished by his expertise in making cost effective equipment and facility recommendations to enhance safe work practices, experience in corrective exercise to counteract postural strain and tension, and his responsive and empathetic approach with his clients. After receiving his Bachelor’s degree in Education (with teaching certifications in Special Education of those with Learning and Developmental Disabilities) from Bowling Green State University, Tim spent the next year teaching at the high school level providing remedial services for students with specific learning disabilities. After a year of teaching, Tim received a scholarship to attend The Ohio University Master’s Program in Rehabilitation Counseling in 1988. During his two years studying at the graduate level he expanded his knowledge of physical medicine, rehabilitation of injured workers, and counseling principles. Tim completed his internship at Miami Valley Hospital in Dayton, Ohio working with an outpatient team of professionals assisting clients with testing, evaluation and recommended work modifications for a successful return to employment. In 1990, Tim completed his Master’s Degree and became a Certified Rehabilitation Counselor. He was then offered the job of Program Manager for a group of outpatient rehabilitation facilities in Northern California. 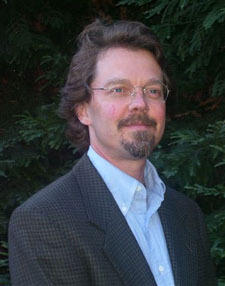 His unique experience working with adults transitioning from injury to gainful employment via industrial medicine was sought after in California where such programs were just gaining recognition. In 1993, he became certified as a Work Capacity Evaluator. As Program Manager, Tim carried out services including, functional capacity evaluation, movement education, work hardening and conditioning, job analysis development and ergonomic evaluation and training. Also, in the early 90’s Tim completed a four-year training program in movement education based on the work of Dr. Moshe Feldenkrais. This education provided an emersion in postural analysis and techniques, which allow people to function more effortlessly and with greater self-awareness. Movement education studies directly influence Tim’s success with employees dealing with symptoms of discomfort in the workplace. By 1996, Tim had become a seasoned ergonomist and work evaluator and decided to start his own company. As Certified Ergonomic Evaluation Specialist, Tim was now able to focus on providing preventative ergonomic evaluation services and training, along with vocational and academic assessment for individuals in educational and career transitions. Over the past ten years in collaboration with facility managers, risk mangers, human resource personnel, and rehabilitation professionals, Tim has had the opportunity to provide consultation services to many San Francisco Bay Area businesses and federal and local municipalities of all sizes. Outside work Tim can be found spending time with his wife, Marianne, playing with his two sons, training internal martial arts and movement education practices, traveling, listening to recorded books, playing basketball, and spending quality time with family and friends. 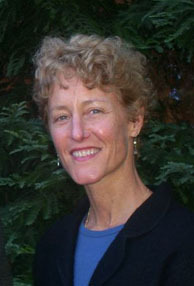 Lindy holds a Master's degree in Nursing from Pace University in New York. After working in home care and hospice agencies, in 1988, Lindy developed an expertise in the workers compensation arena joining a national consulting firm providing services in injury prevention and disability management. Examples of organizations receiving services include FedEx, PacBell, Burlington Coat Factory, and Grubb and Ellis Realty. Moving toward a specialty, she was certified as an Ergonomic Evaluation Specialist in 2000. Since that time Lindy has facilitated both injury prevention and ergonomic program development for various municipalities, technology, agricultural and retail organizations. Lindy's medical education and experience provide a unique perspective for work in both pre and post injury prevention disability management program development in office, field, and manufacturing settings. Facilitating a team, engaging all levels of employees within an organization, focusing on ergonomics, enables her to offer an unique skill set in facilitating comprehensive services in lost time prevention and disability management programs. We now offer web-based evaluations.